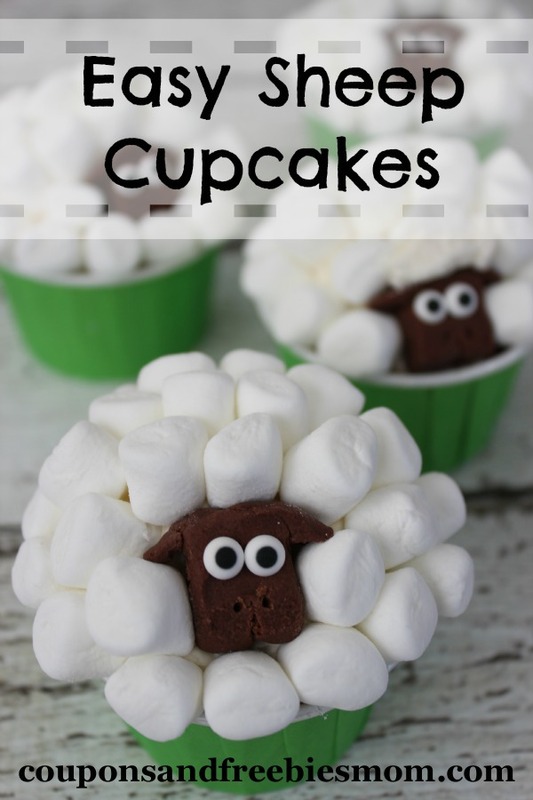 These cute Easy Sheep Cupcakes are perfect for so many holidays and treats with kids! We love them at Easter but they are also great for those Wallace & Grommit watch parties or even slumber parties where everyone wears their pj’s and counts sheep to go to sleep! Cute, easy and fun these semi-homemade cupcakes are sure to be a hit for the whole family. Of course the kids will love helping you put these together as well! Stir in corn syrup until wel mixed. Misture will be grainy. Pour onto plastic wrap and allow to set for several hours (until firm). Break off small pieces of the candy clay mixture and knead to soften. Form each into a flattened cube 3/4″ x 3/4″ x 1/4″ tall. To each of these we will attach ears at the top and using a toothpick we will carve in the mouth and nostril area. Also place candy eyes and press in place. Allow the heads to set for 30 minutes. Store remaining candy clay by sealing in zippered bag and refrigerating. 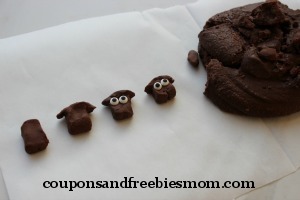 These fun Easy Sheep Cupcakes are sure to be a hit at your next party with the kids! 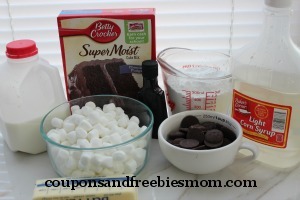 Or simple a fun treat to make for your family tonight! Change it up by using colored marshmallows or even making various flavors of cupcakes to hide under the yummy icing you make. Don’t miss out on all the great Recipes we share here daily!